There are currently 25,185 users on this website. 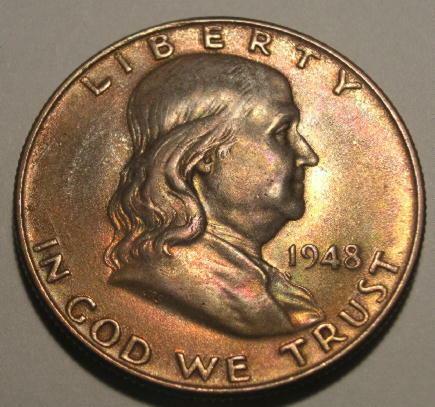 1948 P Franklin Half - Toning (A Favorite Of Mine) Enjoy! I sold most of my collection a couple of years ago and I am starting from scratch. I could not give up this one. It has a dark tope shading all over on both sides. I love to hear what you think and what you think might have caused this. Also, any speculations on the grade of it? Oh for crying out loud , I would have to be first to comment . I'm going to say MS-65 very possible FBL and a crazy but nice full tone . MS64 with nicotine toning, no FBL, IMHO. I was surprised by your opinion of the MS65. 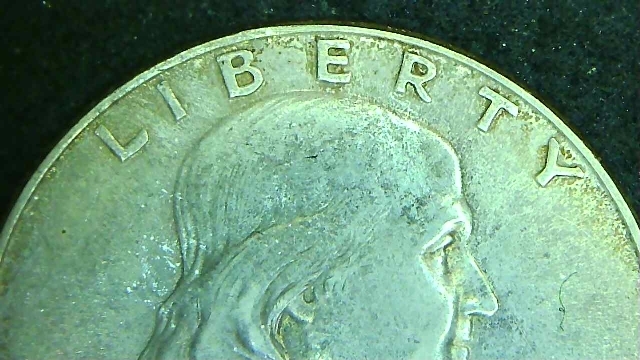 I did not mean to trick anyone, but the toning is deceiving so I am posting some new pics from my new USB microscope. The first pics were from long ago with a camera and different lighting. These new pics are with the LED lighting of the scope and filters out the toning. Conflicting images. When you say "tope", do you mean "taupe"? Thank you, CoinFrog. Yes, I mean Taupe. I'm a Newb so maybe my observation is way off. I'm also no expert in halves. It looks to me to be AU. 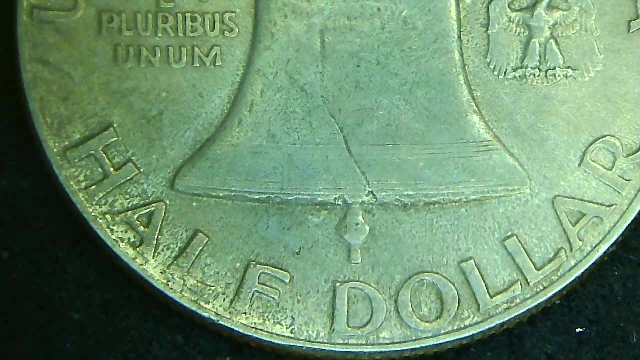 A little wear on the hair and something on the coin around the edges. To me that means not MS. Looks great though. 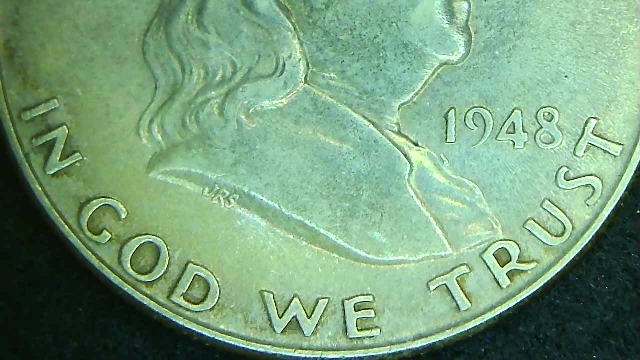 Only you can tell us the real color of that coin. 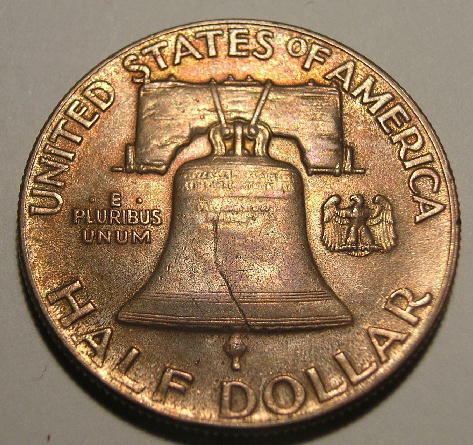 Where are all the Franklin half experts . 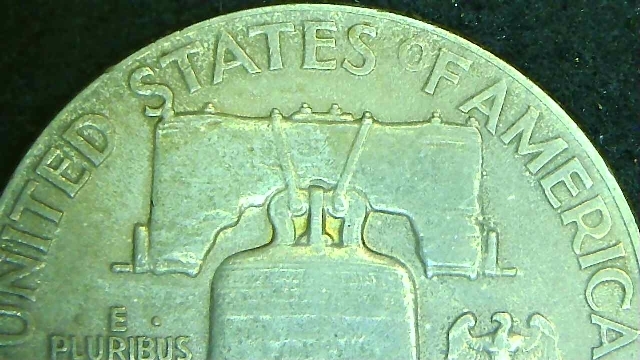 I would really like to know what grade are you giving this coin .